Well, it's finally here. The official (unofficial) summer kick off weekend. We get an extra day off work, and it's a great excuse to pardon my French, but get the hell outta town. Unlike last year when we hopped a train to The Hamptons for the weekend, I'll be firmly planted here in the city. The next few weekends are shaping up to be wild, so an extended, ultra-relaxing weekend at home is just what the doctor ordered. great playlist. love it as always! 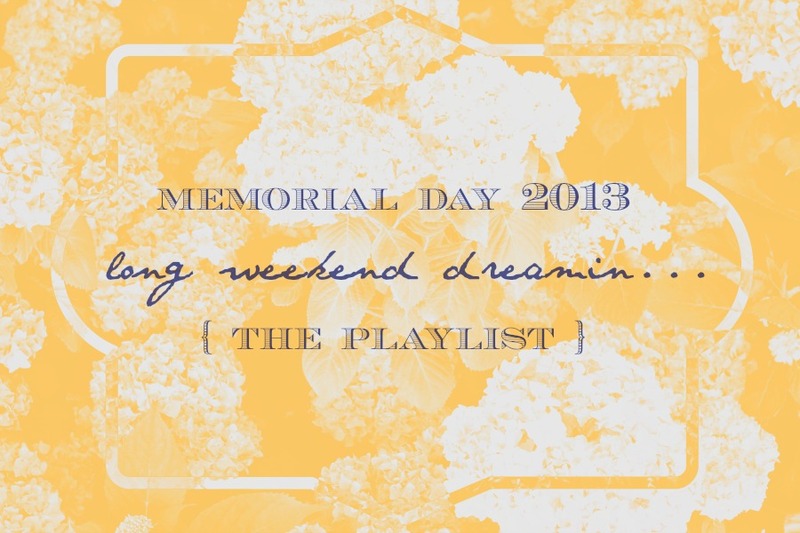 I have been listening to this playlist on repeat :) Thanks for the summer tunes! Very nice weekend song ! Thanks for sharing the tunes with us.Keep good work in the blog.